Ever since Snapchat and Instagram came out to completely monopolize the photo app industry, almost every single tech article about what's the next "new" or "cool" in the upcoming New Year said video was next. Too bad YouTube came out and dominated that market over a decade ago. Sure, there is Vimeo but the video king is still YouTube. In fact, viral usually means a YouTube video. Can you even count how many YouTube videos you watched last year? Probably a lot. As a digital marketer, you should be thinking: how can I leverage this entertaining and informative platform to increase my reach and conversions. Having a highly ranked YouTube video is gold because it gives you the opportunity to rank high on another platform owned by Google. A query search will bring up both videos and pages. If your page has both then think of it has a double hitter which means more traffic and opportunities. Generally, videos also rank higher than normal page links which is an advantage that you definitely should take. You need to identify a pillar page that's worth investing a lot of time and effort into. A pillar page is your baby. It is one of the few pages you want you buyer personas to always end up on. With this pillar page, you need to identify what your goal is. Do you want to inform the client more about your services? Are you trying to entertain? What do you want the user to leave with or go to? Once you establish the type of content you want for your pillar page in a general sense. You must do some broad and long-tail keyword research. Create a list of topics and keywords that are perfectly relevant to your pillar page and ultimately your video title, tags, description, and content. Time to make a video. I admit, this is not an area that I am an expert with. 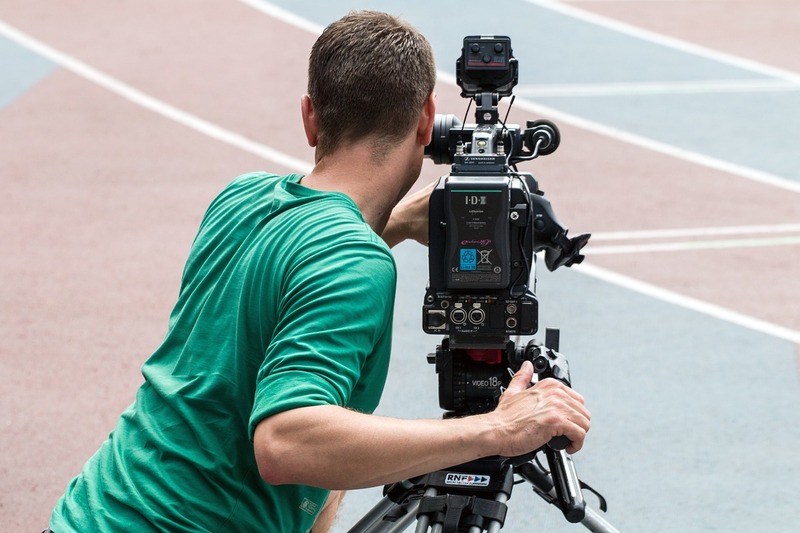 Find someone who can film, direct, and edit the video that evokes your page's goal in mind. Your digital media team should be able to help. YouTube video rankings are dependent on 5 main algorithmic variables. Arguably the most important YouTube ranking factors is called watch time, and it is the measure of how long visitors watch your content. Basically, this is an engagement metric to see if people like what they see. Video length which influences the watch time calculation. A 30 second video that gets watched for 10 seconds has a much better engagement level than a 10 minute video getting viewed for 30 seconds. This means that you should always make sure your content is useful just like your blogging. You videos will be judged based on keyword relevance which YouTube still lets you technically span in the descriptions section by stuffing in keywords and tags. Also, having a transcript will give text relevancy to the YouTube algorithm to further verify your video's relevancy. However, beware of abusing this because you will be punished. How? Imagine you want to watch a video of a cute puppy and you click open a video with 'cute puppy' keywords on your YouTube feed. Click the cute puppy link above, it's the most adorable thing you'll see all day btw. Did you feel that disappointment and annoyance? Chia cleansing isn't horrible, I think, but I would rather watch a cute puppy video (this one's real) when that's what I'm seeking. Be relevant. If you aren't relevant then the YouTube community will gloriously crush you with dislikes and flagging. The YouTube community is already filled with trolls and a lot of toxicity; so do yourself a favor by simply being genuine. YouTube tracks how each video is perceived by its audience very accurately. Also, don't worry about people falsely accusing you about unrelated keyword content because YouTube has counter-measures against these types of abuse. At least, that's what they claim. YouTube is somewhat biased towards producers who have many subscribers. If you are consistently following the last three rules, however, you will probably witness your subscriber list grow. Once your video is optimized on the YouTube platform and has a CTA linking to your landing page, make sure to host the video on your landing page as well. Then, promote the crap out of it using the best inbound and social marketing tactics. Make sure the content on your pillar page, YouTube video, and social posts are unified. Ensure the whole campaign is structured in a highly organized linking structure. Having a blog article with the pillar landing page to complement the video is crucial to making this video pillar page into a success. 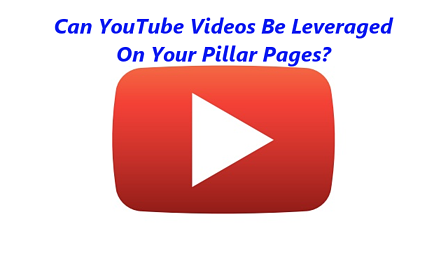 The goal is to get the pillar page itself ranked organically on Google search, while also increasing the video's ranking on YouTube itself. Simultaneously, the pillar page must be optimized with SEO best practices and perform its dedicated role within the buyers journey to make sure you get the conversions you seek. This video strategy can increase traffic to your pillar page, YouTube videos, rankings, and conversions. Cross-linked digital media systems require extreme structure and dedication, but when it is properly implemented the results are amazing. Remember, keep you end goal in mind and execute accordingly.